Book size: 11 x 8.25"
Foil stamping is available on the cover & spine in gold, copper, white or silver foil. Choose the positioning of your foil stamping within the editor. 2 Guest Book Pens: Feature acid-free quick-dry ink (black) and are safe for archival papers. Wooden Quote Box: Handcrafted of reclaimed beetle pine in the USA. Size: 8.25 x 11". Printed with the quote "From this Day Forward". 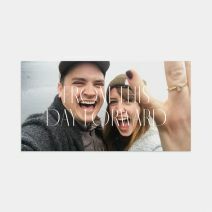 The Wedding Guest Book Set is a personalized way to remember your day and the guests that celebrated with you. 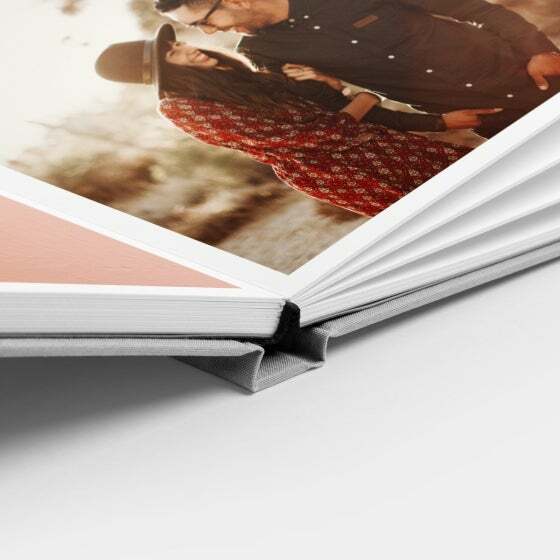 This heirloom-quality album features double-thick pages and a landscape orientation, perfect for displaying your favorite photos and handwritten notes. Each set comes with two of our preferred Guest Book Pens, with the option to add our Wooden Quote Box for elevated safekeeping. 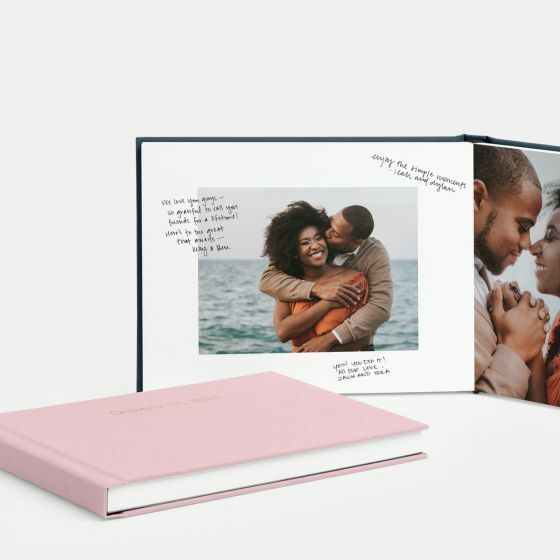 The Wedding Guest Book Set offers three perfect pieces to capture the excitement of your best day. 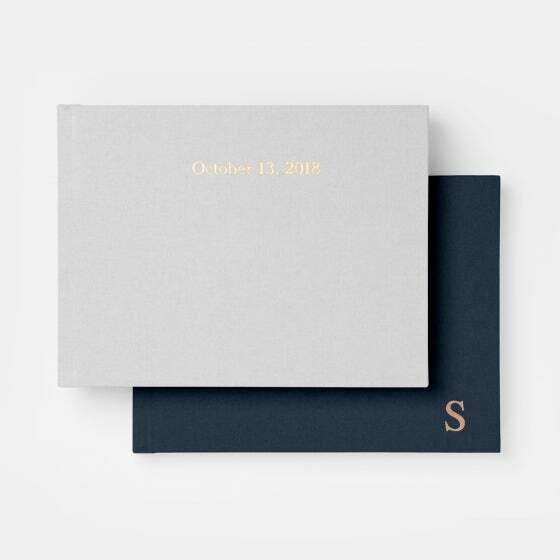 Our Wedding Guest Book features double-thick, archival quality papers, ideal for displaying photos alongside your guests’ handwritten notes. 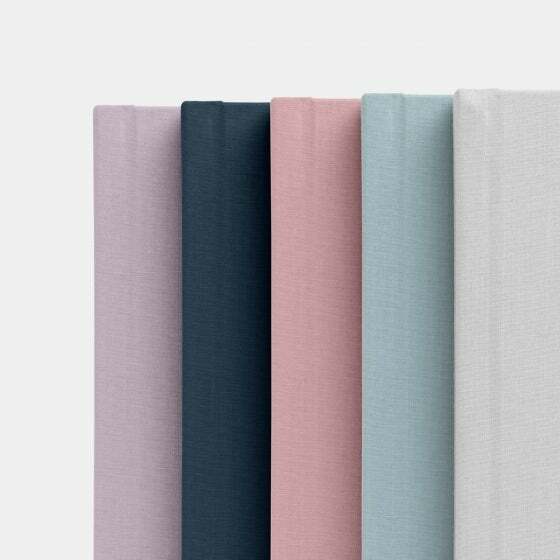 We’ve found this matte, textured paper to be optimal for writing well-wishes that last. Get started with as few as 10 pages, or 5 full-page spreads and add up to 40 pages. 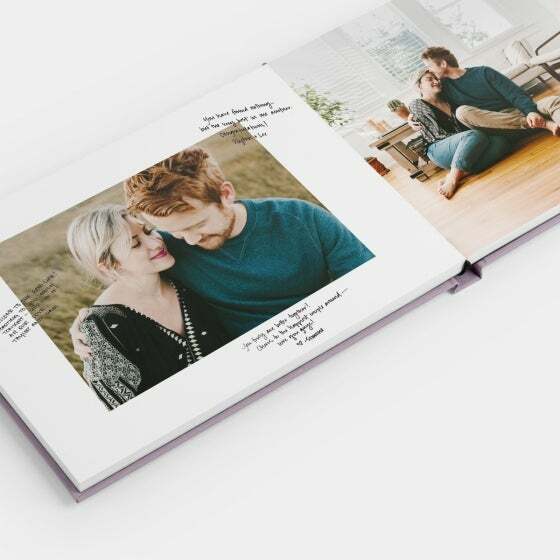 Our layout options include multi-image as well as single-image spreads – so you can personalize your book to suit your design style. 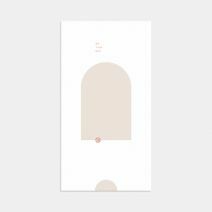 Featuring a fabric-bound, foil stamped cover, this book touts modern elegance you and your guests will love. Choose from five fabric colors and four foil colors to match the palette of your wedding day. We offer a number of cover text layouts, which can be customized within the editor. Our preferred Guest Book Pen is made by American Crafts and is called the Slick Writer Pen – we've found this pen to be the most optimal for our papers. It's acid-free, quick-drying, and completely safe for archival papers. Our version of this pen features black ink within a grey casing, and includes the Artifact Uprising logo in white. Our wooden quote box is handcrafted in the USA from reclaimed beetle kill pine. 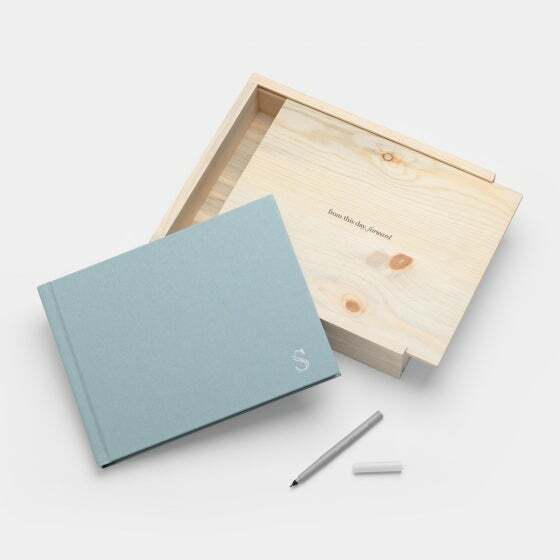 Printed with the phrase, “From this day, forward”, this simple yet elevated box can be used to store your Guest Book for beautiful safekeeping. 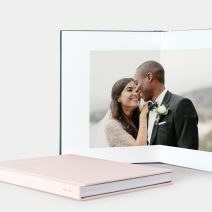 The 8.2 x 11” size offered in the Wedding Guest Book Set is ideal for our 11 x 8.25” album. 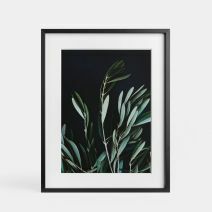 Bring these three items together and commemorate your best day and the guests that celebrated with you.